I am reading the posts on two line systems and trying to figure out how to install ours. I have ported our first number but I'm holding off on porting line two until I am sure this is going to work. We currently have only one phone jack in the whole house configured for both incoming lines. Both of our corded phones (two line sytem) are plugged into this one jack with a splitter. If line one is being used it automatically rolls over to line two so someone else can pick it up on the other phone. Line two does not roll back to line one. We use only line two to call out as we have an unlimited long distance package on it. I installed the Ooma system but only one line was usable and it blocked access to the internet so I uninstalled it and called tech support. I was told I have to get my authentication info for my DSL before I try again. I also understand I have to port the second number before it will be usable, but since there is only one wall jack to use I need to know ahead of time how I (a) connect the Ooma Hub and (b) connect the Ooma Scout to the same jack and (c) plug both corded phones in so that both lines work on both phones. If this is not possible then I need to know how to unport my number and return this system as both phones need access to both lines all the time. 2. Line two, voice only, long distance package and forwarding to our cell phones or to a voicemail box if not forwarded. 3. DSL line is separate number from lines one and two and not connected to same jack as lines one and two. It is however also used for our fax machine and has a DSL filter on the fax machine. There are two jacks for this line so I have the modem plugged into one and the fax machine plugged into another. I hope this is not too confusing...I really need help with these questions before I port line two and try installation again! First of all, I was told that you can cancel your port up until the day it occurs. Also, you said you have DSL, so you want to make sure your DSL account is not tied to the number you're porting. Doesn't sound like it from what you've said. I don't have DSL, so I'm not sure what authorization you need. If you connect your Ooma hub to the DSL modem with an ethernet cable to the modem port on the hub, the hub should register and get a blue tab. And then you can connect a corded phone to the phone port and you should get dial tone. That's the best way to get it setup initially to make sure everything's working, before you get into advanced setups. How did you connect the hub? Also, when you activated the Ooma hub, did you select the option to use it with your landline or did you select a new Ooma assigned number? For the two line setup to a two line phone, you'll need to subscribe to Premier for the 2nd line (you will have a trial sub to premier initially) and then you can connect your scout directly to the hub using a short phone cord from the scout wall port to the hub wall port and then you can run one phone cord from the hub phone port to the line 1 of the phone and another cord from the scout phone port to line 2. There are other ways you could set it up as well and it depends on what you want to do. 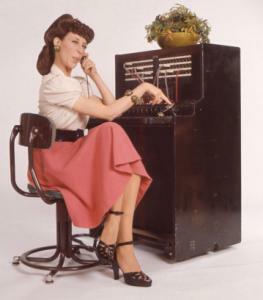 But first, I would try to get the blue tab and dial tone on just the hub. Read my story to understand the in's and out's of porting with DSL. It might be a bit long, but I think you'll want to pay attention to it since DSL is a unique situation compared to Cable. Thank you Scott - I'm not sure what dry-loop DSL is but I never did get that box on my screen. Perhaps because I am keeping a phone/fax line that is also my DSL line through Verizon. I have to do that as Verizon is the only company that provides lines where I live - there is no cable option. Even DSL provided by other carriers would require having a number through Verizon up here. hopehankin wrote: Thank you Scott - I'm not sure what dry-loop DSL is but I never did get that box on my screen. Perhaps because I am keeping a phone/fax line that is also my DSL line through Verizon. I have to do that as Verizon is the only company that provides lines where I live - there is no cable option. Even DSL provided by other carriers would require having a number through Verizon up here. Dry loop DSL means you have DSL without a phone line associated with it. What I learned through this process is that your telephone number and DSL "account number" are inseparable. The telephone company doesn't see a difference between your telephone and DSL. To them it's all the same so your telephone number is coupled with the DSL. If you port your current number to Ooma without first establishing "dry loop DSL" your DSL account will be terminated when Ooma takes control of your number. So what you need to do is call them to make sure you establish a new DSL account first. You'll get a new phone number (account number) for the new DSL account, but there will be no phone service with that number. Ah, I see what you mean. No, I didn't port my DSL number - I left it associated with Verizon and my fax line.